Note: A mil is a common unit of thickness measurement for plastic film and is equal to 0.001 inches. For plastic film it is also commonly called gauge, and 0.01 mil = 1 gauge = 0.254 microns. Therefore, 1 mil = 25.4 microns. This calculator uses the following concept to calculate plastic film thickness and uses the proper conversion factors for the units used. This is also known as the cut and weigh method for obtaining the average thickness of plastic film. The calculator below calculates the theoretical thickness of plastic film using the equation (volume) x (density) = (weight). 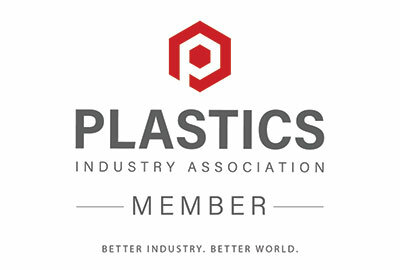 This calculator can be used to calculate the average thickness of plastic film or the thickness of other materials NIST traceably. The ASTM standard for this method for plastic film is ASTM E252. The cut and weigh method is often used because it provides a very sound average material thickness calculation. However, it is dependent upon knowing your material density. If you don’t know your material density, it can be measured using a gas pycnometer. SolveTech offers plastic film density testing as a service to our customers. SolveTech, Inc. manufactures high precision gauging systems using a proprietary capacitance technology. 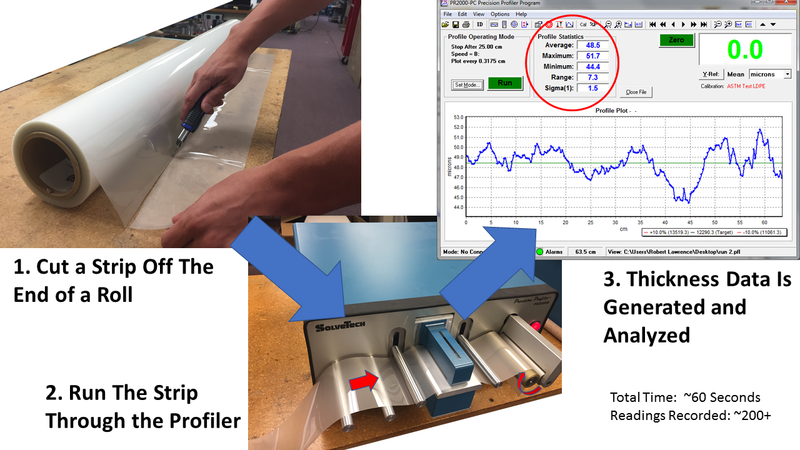 Looking to measure the thickness and variability of plastic film? SolveTech’s unique technology can help per ASTM D8136. You can also learn more in our article “How to Measure Plastic Film”. SolveTech helps many of the world’s top plastic film manufactures gain control of their extrusion process. We are happy to lend our expertise to your situation to help you save money and improve plastic film quality and uniformity.